NNPS students learn to move cargo in challenge sponsored by the Port of Virginia. The Engineering Design Challenge, held in February, gave second- and third-grade students the opportunity to learn about simple machines and their impact. Using furnished materials, teams of students representing each elementary school were given the task of designing and building a simple machine that could move a cargo container from the port yard to a train. 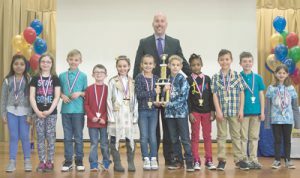 The design challenge, Shore to Store, was sponsored by the Port of Virginia and began with an introduction that explained six simple machines: wedge, inclined plane, wheel and axle, screw, pulley and lever. Students brainstormed with their teammates, drafted their designs, and built and tested their simple machines before presenting them to the judges. Student teams earned points based on design and functionality. Yates Elementary earned first place, Hilton Elementary second place and Saunders Elementary third place. The Design Challenge is part of the school district’s ongoing STEM (science, technology, engineering and math education) initiative. Dwayne Peters, athletic director at Heritage High School, has been selected as the 3A/4A Athletic Administrator of the Year by the Virginia Interscholastic Athletic Administrators Association (VIAAA). Peters was chosen from a wide selection of athletic directors in the Virginia High School League. “Mr. 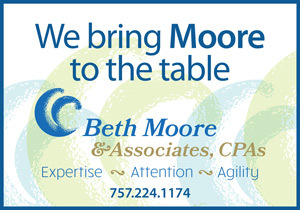 Peters works diligently to ensure that our school exceeds the expectations of the Virginia High School League in sportsmanship, coach professional development and adherence to regulations. He has been an integral part of our Hurricane Family for more than 10 years and continues to make a positive impact on our school,” said Shameka Gerald, principal at Heritage High. In addition to ensuring that the athletic teams and student athletes have all they need to be successful, he serves as a mentor to students and staff. Peters has served as athletic director at Heritage since 2008 and has held the roles of chairman of the Peninsula District Athletic Directors Association, president of the Eastern Virginia Athletic Directors Association, president of the VIAAA and member of the National Interscholastic Athletic Administrators Association. Peters began his career with Newport News Public Schools 27 years ago as a physical education teacher. Peters was recognized at the VIAAA State Conference in Roanoke in March. 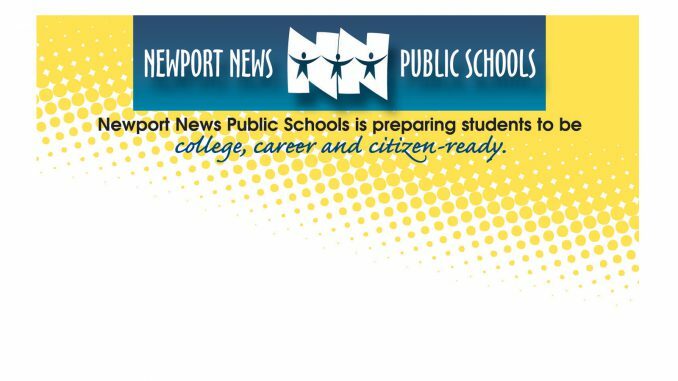 Twelve NNPS students representing five high schools have been accepted into Newport News Shipyard’s eSHIP/iSHIP job shadowing program. This program integrates students into the shipbuilding experience through eight-weeks of full-time internships for four summers during college and guarantees employment as engineers or engineering technicians upon college graduation. The partnership with Newport News Shipbuilding provides job shadowing experiences, classes and paid summer internships for qualifying students.